Answers in Genesis opened an online ticketing system at the top of the year to help manage the millions of requests they have been receiving to tour the life-size re-creation of Noah's Ark known as Ark Encounter. With more than 1.4 million visitors expected, tickets will be sold for separate daytime or evening visits during the first 40 days of opening, starting July 7. The 40 days and 40 nights theme reflects the number of days and nights it rained while Noah and his family were on the Ark, as documented in Genesis 7. The Ark Encounter will be located in northern Kentucky (south of Cincinnati). Workers at the Williamstown site are busy constructing the internal exhibit areas of the Ark now that the external shell is largely complete. The main attraction is the largest timber frame structure in the world, standing at 510 feet long in accordance with the dimensions specified in the Bible. The Ark Encounter's vast size is getting a lot of attention not only across the United States, but around the world. 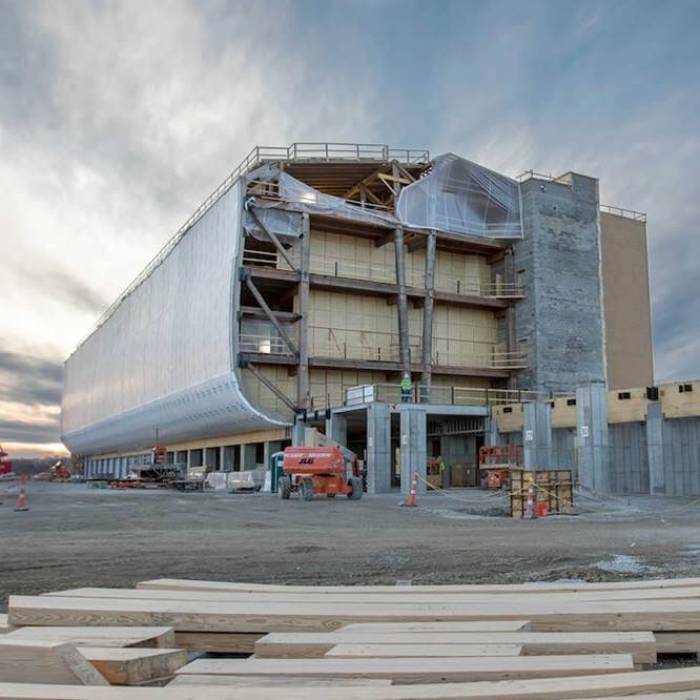 Ken Ham, president and founder of Answers in Genesis, said in a statement to The Christian Post that he's "eagerly looking forward to the educational and evangelistic opportunity the Ark will be for so many thousands of guests expected to visit daily during the first 40 days and nights." "Today, we don't need another Ark to save animals and people from a global Flood," Ham said in the statement. "But we do need another kind of Ark, to take people on what we are calling a 'voyage of discovery.'" The Ark Encounter will be able to accommodate about 16,000 guests per day, but tickets have gone to pre-sale because research has shown that more people than that could be expected during the first few weeks of opening, because of the summer. For the first 40 days, guests can purchase daytime tickets for 9 a.m. – 4 p.m. or night time tickets for 5 p.m. – midnight, a method hoping to alleviate the crowds. The day and evening times will also offer some differing experiences. Tickets are $40 for adults, $28 for children and $31 for seniors. So far, over $88 million of the $92 million needed for the construction has been raised through bonds, donations, and memberships. A decision is still pending on whether the Ark Encounter will be able to participate in the state's sales tax rebate program for tourist attractions, which is currently being litigated. It is anticipated that thousands of new jobs will be created outside of the Ark theme park, and new hotels and other businesses are under development near the Ark site as well. The Creation Museum in Petersburg, 40 miles from the Ark site, has been visited by over 2.5 million guests since opening in 2007. In the past two years, the museum unveiled a world-class $1.5 million exhibit of an allosaurus dinosaur skeleton, and it hosted the famous Bill Nye/Ken Ham evolution-creation debate (estimated to have now been watched by upwards of 15 million people). For more information about the life size replicated Ark, visit www.ArkEncounter.com.